I believe reporters are sometimes seen as people who are only there to get the news -at all cost. Therefore, trust has always been an issue. Needless to say that’s not true but that, along with the current war against media, has made it extremely difficult to do our jobs. Besides presenting all sides and corroborating my information with facts, I try to connect with the viewers at a different level. I want people to see me as a person. Someone who cares about the community, who’s there not only to tell their story but to give them a voice. I usually keep in touch with people I interview. Send them an occasional message so they know that it was not just about me getting the story. I treat viewers as I would treat a friend. I take my “reporter hat” off and always show them who I am as a person. 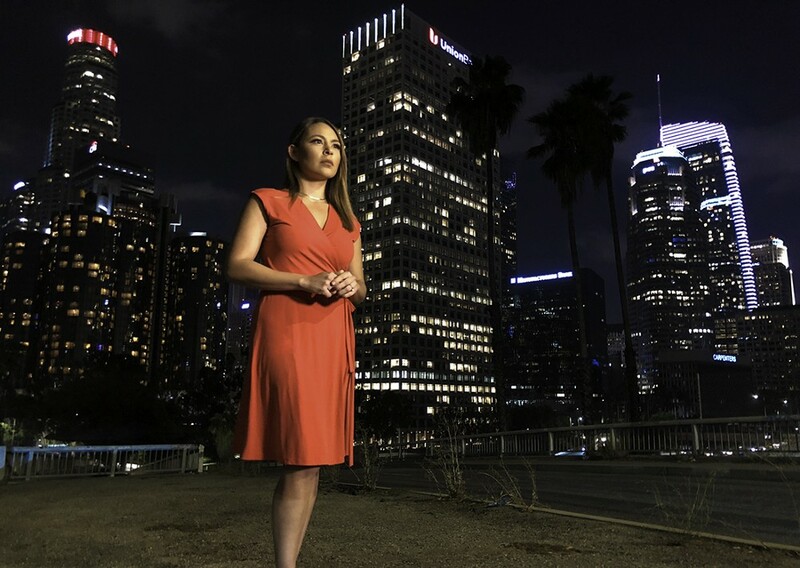 I had the pleasure of interviewing Stephanie Martinez, four-time Emmy-nominated news reporter at Univision in Los Angeles, CA. 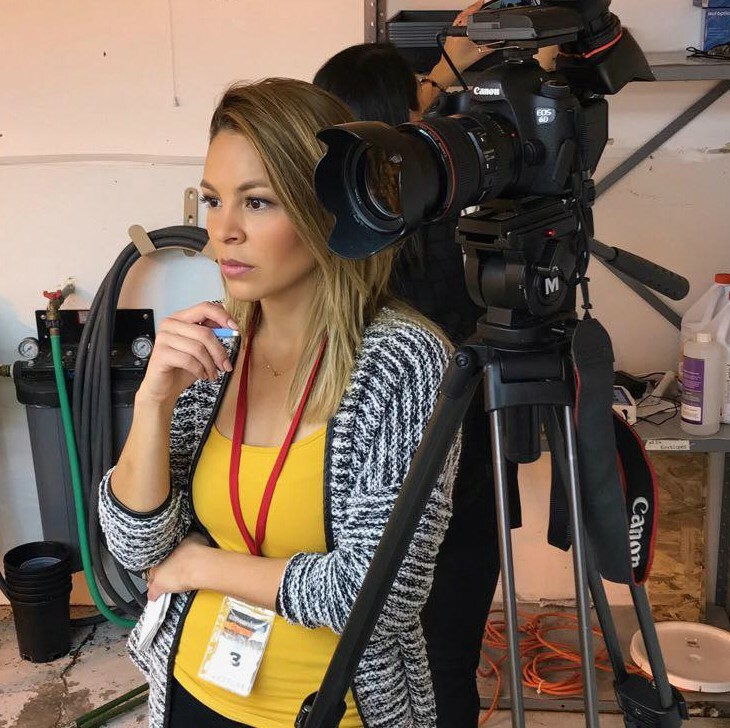 Stephanie is also the creator of the digital platform News Quickies as an effort to keep younger generations informed by explaining the news in a short, fun and conversational way. Thank you so much for joining us Stephanie. What is your “backstory”? How did you get started in journalism? I was born in Barranquilla, a small coastal town in Colombia. I migrated at age 16 and I’ve been working in the news industry for more than seven years. While pursuing a Bachelor’s Degree at George Mason University, I took a class where I had to shoot, write and edit a news story. I had never done one before. I decided to the story of my stepfather’s father, Alberto Jubiz Hazbum. Jubiz Hazbúm was a Colombian chemical engineer of Lebanese descent who was wrongfully accused of one of the most significant crimes in Colombia’s history, the assassination of presidential candidate Luis Carlos Galán Sarmiento in 1989. Creating this story opened my eyes to a whole world of storytelling. I was passionate about the investigation side, interviewing and interweaving everything into a compelling story. At that moment, I knew exactly what I wanted to do. I went on to get a Master’s Degree in Broadcast Journalism at the University of Maryland College Park. I spent one year in North Carolina working as an anchor and multimedia journalist at Univision. I got nominated for four Emmys for my work with them. I’ve now been in Univision Los Angeles for three years. The impacts are major and more serious than what people think. The “fake news” phenomenon is not only adding to confusion to what’s happening in the world but also debilitating a community that exists to serve the people, the press corps. This is truly doing an incredible disservice to democracy. I’m from Colombia and I’ve seen what press censorship can do and trust me, we don’t want that here. It has definitely made my day-to-day process more difficult. You now have misinformed people challenging your story. People who wholeheartedly believe something based on uncorroborated information. There’s so much that us reporters can do. Yes, I think that -as in every industry- there are reporters that might be one-sided but for the most part, reporters know that their duty is not to persuade anyone but to present the facts. It is the consumer’s responsibility to be an educated consumer. Know where to find the most unbalanced news, find facts, read both arguments. If a politician makes a claim, corroborate the claim. The information is out there! There’s only so much us reporters can do. We can’t monitor where people get their news from. At certain point, it has to be the responsibility of the reader to be an educated consumer. How do you ensure your sources contribute to the credibility of a story? What tools do you use to ensure the credibility of your stories? What tools do you use to record in-person and phone interviews? For my stories I always corroborate information with at the very least two other people. If I only have one person verifying the information then it’s out of the story. When it comes to data, there are many tools out there that can help you verify information. There are databases, government documents, public records etc. Some documents hard to get but you’d be surprised at how much stuff is out there! For my interviews I mostly use my camera but have occasionally used a audio recorder. There are instances where supporting facts may be skewed one way or the other. One of the things I do is look into who the organization, poll company, etc. is. Who are they funded by? What’s their mission? Who are part of the group? Are they one-sided? You just have to look a little deeper before quoting data or giving out any information. When push comes to shove, then you need to do the time-consuming work of verifying it yourself. That could be in the form of analyzing a database, analyzing numbers, requesting public records, etc. Look into the elements of a database, for instance, to make sure they’re balanced and everything is taken into consideration. It’s a lot of work but that’s what we are here for! On breaking news, you might not have much information about what you are covering. Research time will be minimal and stress levels will be high so I focus on the “who, what, when, where, why and how”. I think about what’s important to my audience and try to get as much VERIFIABLE information as possible. I never ever assume even if it seems logical to me. If I don’t know something, that’s exactly what I say. Two things: Like I said, never ever ever assume. We all come from different life situations, cultures, we have different backgrounds. What might be right/normal to me, might not be for someone else. Second, care about your audience. Show them the person behind the reporter. You’ll be surprised at how appreciative people are. What are your “5 Ways Journalists Can Win Back Trust In Journalism” and why. Please share a story or example for each. Always have at least two sources corroborating your information. For journalists, this should not be anything new but it’s always good to send a little reminder! Dive deeper into the people or representatives you interview. What do they represent? Who is the organization backed/funded by? Let’s be real, everyone has their own cause, agenda, their purpose and that’s ok. However we, as journalists, need to be aware of all the elements that might impact your story and how people perceive it. Make sure you know any disclaimer and report accordingly. Fight back false claims. News outlets are fact-checking left and right so get out there and do some digging. Don’t always look for information in the same places. Diversify your sources of information so you can have a sense of all the different points of views. Be balanced. It is not up to us to convince anyone. However, it is up to us to provide as much information as possible and let the audience make their own decisions. Show the audience that, above all, you are a human being and that you genuinely care. This is -in my experience- one of the best ways to gain people’s trust.